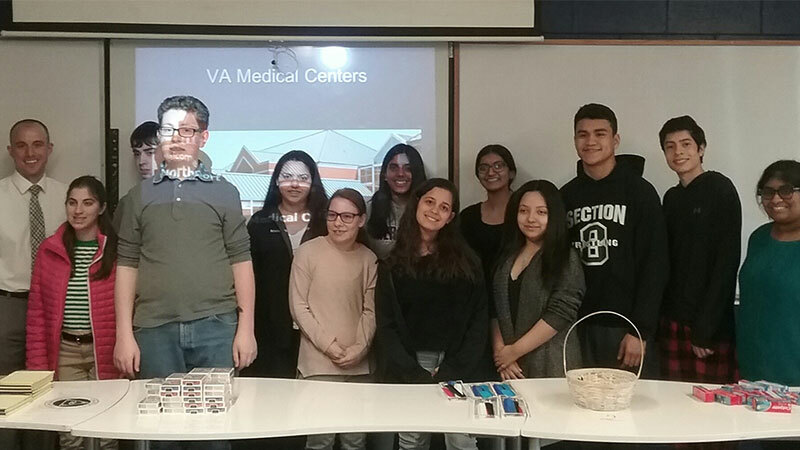 Members of the CPHS SPARC/Interact Club worked together to create “comfort kit gift packages” for veterans of the United States military. Each kit featured a variety of items, including pens, crossword puzzles, combs and personal care items, in addition to thank-you cards students created. The kits were delivered to the Northport VA Medical Center.